Hi! I’m Alethia Berenice Montero Baena from Mexico and I’m a ‘Psychofuturartist’. I’ve initiated Teach the Future Mexico with a group of fellow Mexican future enthusiasts since September 2018. The first step for the Mexican hub of Teach the Future or TTFMX was to organise an introductory training course. The objective of this course is to unify the criteria of around ten people (most of them professors) that already know Prospective/Future Studies, in order to have a common line of concepts and methods, so that they can either teach the subject to teachers/professors or students. What we find special about this course is that, besides the Prospective basics, we had a “Didactics of Prospective” session, to know the challenges and skills a teacher needs to teach the future in the 21st century, also reminding the fundamentals of educating. Our course is a free and open one, with approximately twenty attendees from which half belongs to Teach The Future Mexico. It is run every Friday from 11:00-14:00 since October 4th and ended on December 14th. We work with three different trainers who are all prospective consultants and trainers. We get together at the room in which the Seminario de estudios prospectivos is held at the Faculty of Political and Social Science, UNAM. 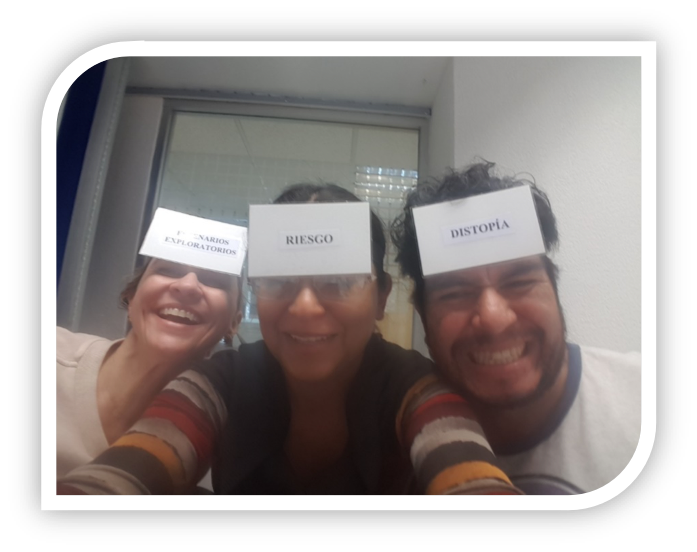 Photo of playing the “Concepts game” during the introductory course by Cassandra Salas and pupils. 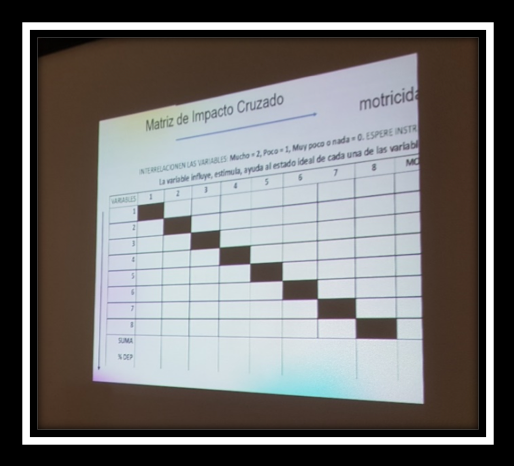 We discussed the Crossed Impact Matrix during the course. 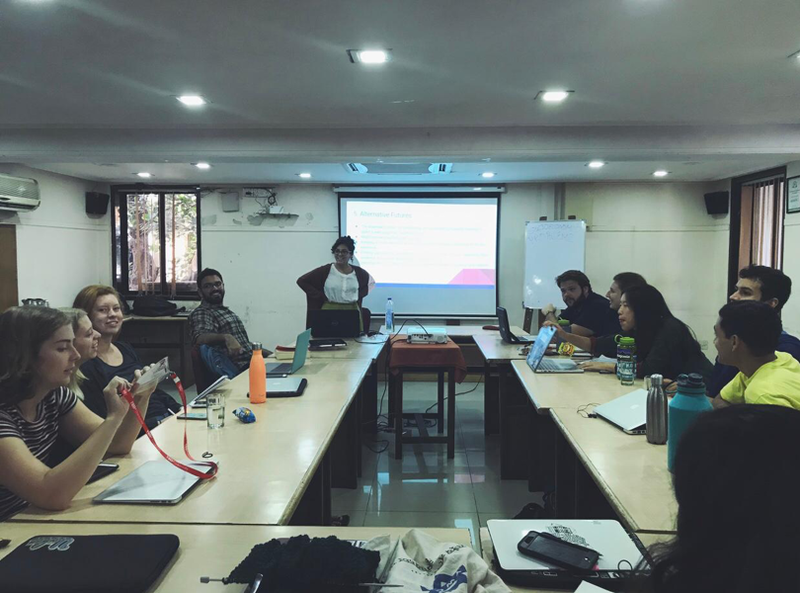 For this course, we considered the Foresight thinking major concepts which the founder of Teach the Future, Peter Bishop, shared with us, as well as the Learning Objectives which were part of our “Didactics of Prospective” session basis. We are pleased to have the Brazilian Fernanda Ebert (who lives in Mexico) as a member of our crew, being also the contact that spoke in behalf of Peter Bishop to propose the TTFMX opening. To interrelate with other TTF members for sharing experiences. Want to know more about TTFMX in general? Please visit https://www.prospectiva.mx/ and https://www.teatrodeldevenir.com/. 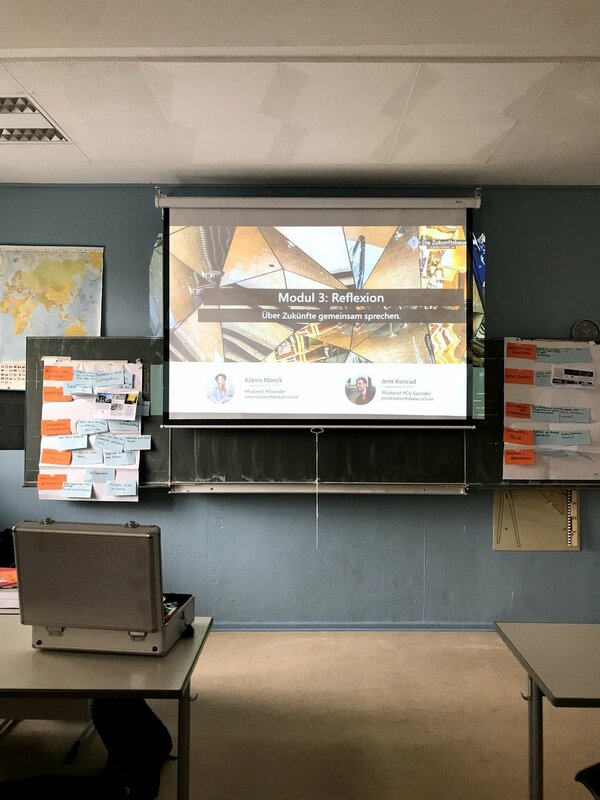 Teaching futures thinking in Germany! At Teach the Future we always like to collaborate with likeminded collectives around the world in our quest to take futures thinking into schools. In Germany we are in touch with Die Zukunfstbauer, a School Future Lab. They just executed their first pilot, read on to learn more! Thanks so much Aileen! 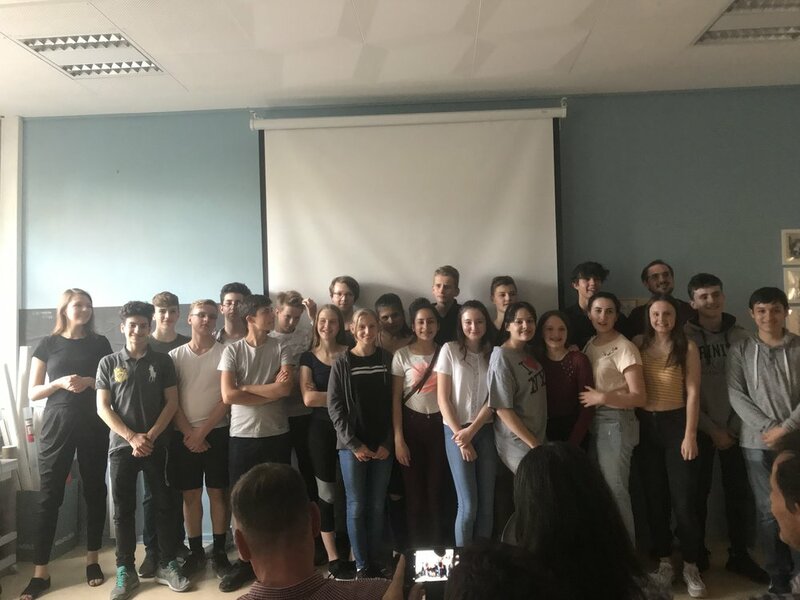 Are you living in Germany and do you want to know more about Die Zukunfstbauer or want to help them out, either via volunteering or funding, please contact them via hello@zukunftsbauer.schule. 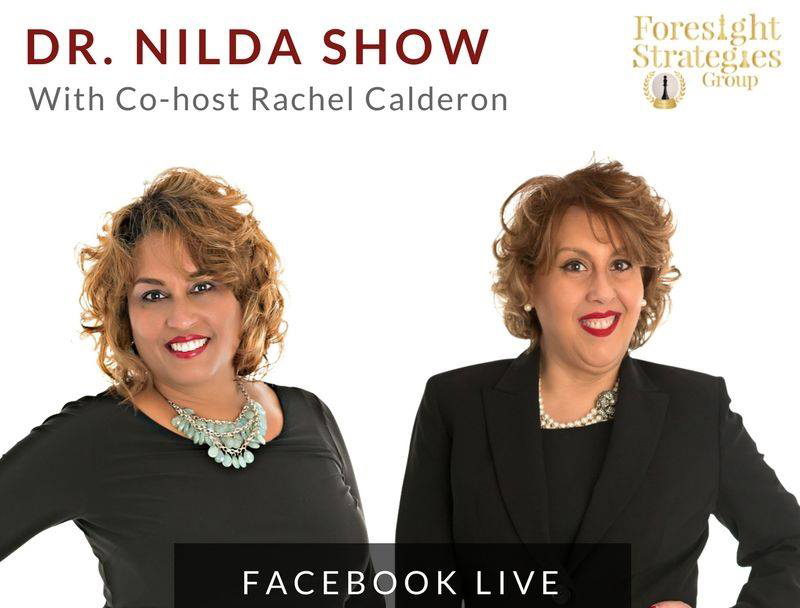 You can also stay updated via their Facebookpage. This is one of the statements made by elementary school pupils in the Dutch city of Breda. And who could argue with it? Listening to kids can really help us all to look at the future in unexpected ways. Recently Teach the Future joined forces in the Netherlands with creative incubator PakhuisB and set-up an educational package for elementary school teachers. Within a timeframe of 6 weeks the teachers engaged their pupils actively in exploring their feelings and visions on the future. The goal was for pupils to experience the influence they have on the future and to become active in creating their preferred one. 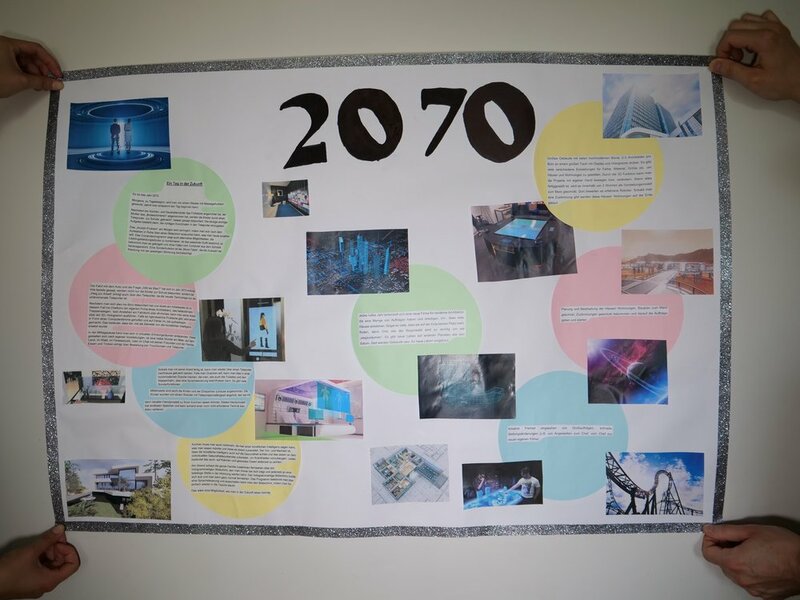 With various tools (such as card games, sketching & drawing and group workshops) the pupils were inspired and challenged to play with their perspectives on the future. Watch a ten-minute compilation (in Dutch) with many more quotes and reactions of kids about future related topics and get inspired! In addition, Teach the Future & PakhuisB, in cooperation with the TrendRede team, also organised a ‘KinderTrendRede’ in Breda. 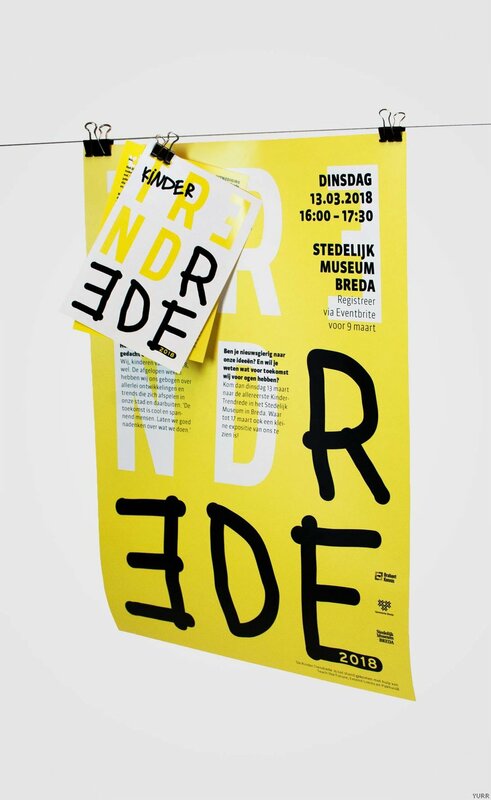 This is an event where a panel of selected pupils of various Breda based schools present the future visions of all schools combined to the citizens and deputies of the municipality of Breda. This future pupil council shows what kind of future they would want to live in. Advice included topics like deregulation to decreasing loneliness amongst elderly people, a changing job market to climate awareness. Read the full content of the pupils’ future visions over here. Watch the aftermovie of this event (in Dutch) below and the full video of the TrendRede (in Dutch) over here. TTF is always on the look-out for collaborations. 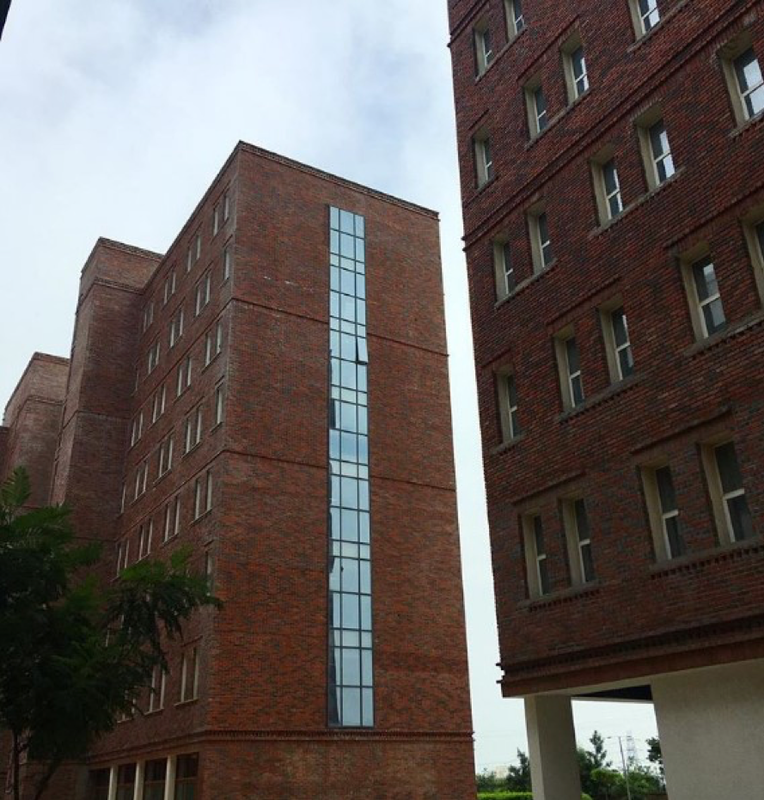 In the Netherlands we’ve teamed up with The Teachers College of Windesheim Flevoland University of Applied Science. 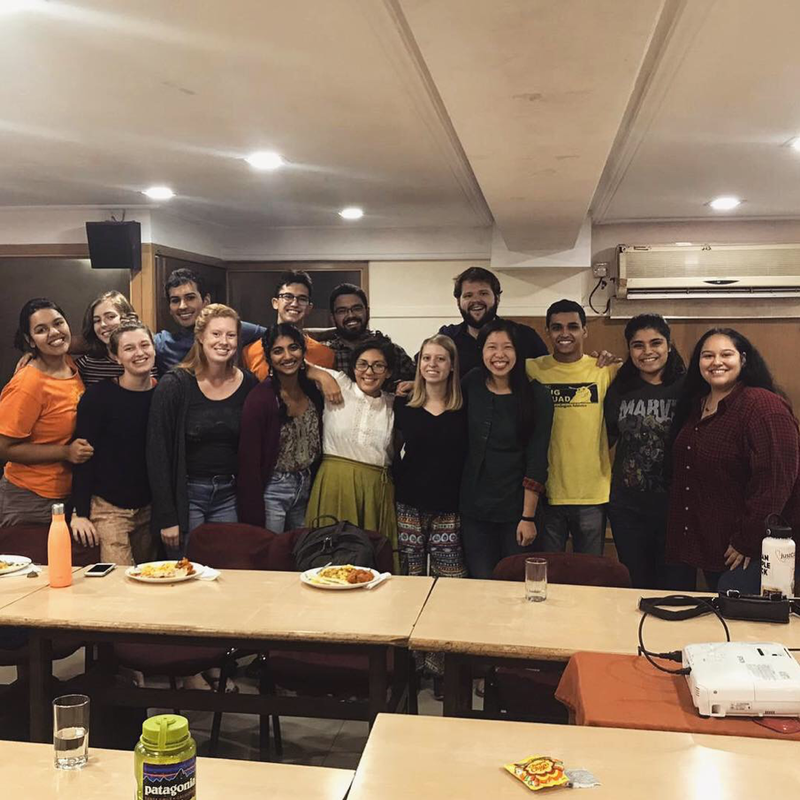 They are educating students to become teachers themselves. 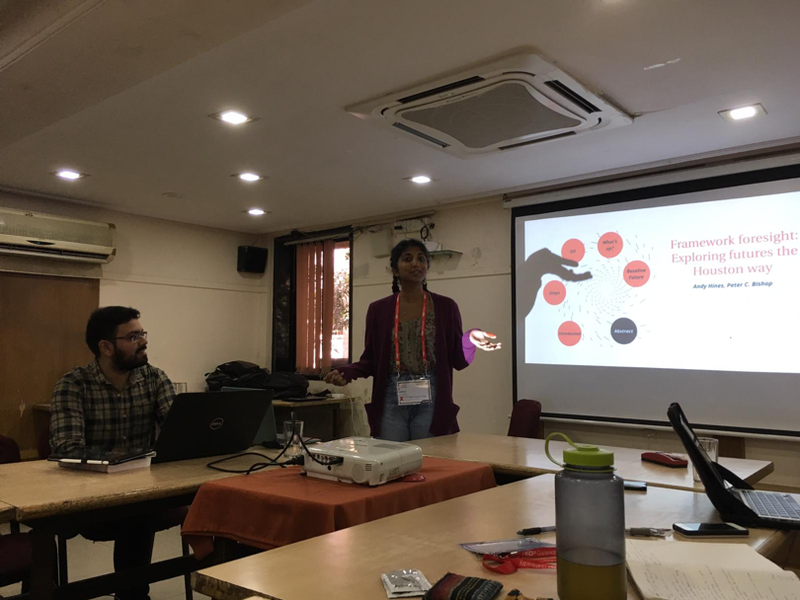 Read more on how they are integrating futures thinking into the classroom and try to inspire the young teachers to be to take ownership of their own future and the future of education. Erica Bol leads elementary students in an exercise developed by Teach The Future. 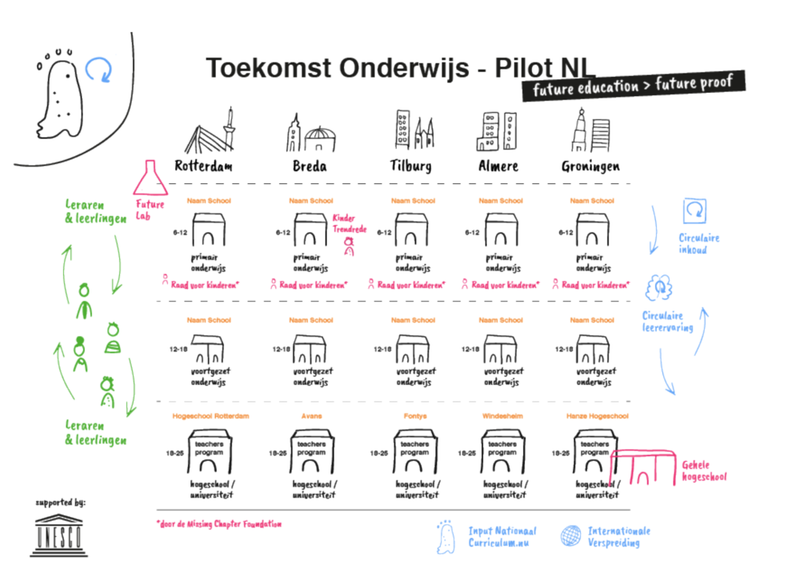 In the Dutch city of Gemeente Breda, ambassadors of Teach the Future joined forces with creative incubator PakhuisB and set-up an educational package for elementary school teachers. In addition, Teach the Future & PakhuisB, inspired by and in cooperation with the Trendrede team, also organized a ‘KinderTrendRede’ in Breda. This is an event where a panel of selected pupils of various Breda based schools will present the future visions of all schools combined to the citizens of Breda. These pupils will show Breda what kind of future they want to live in. 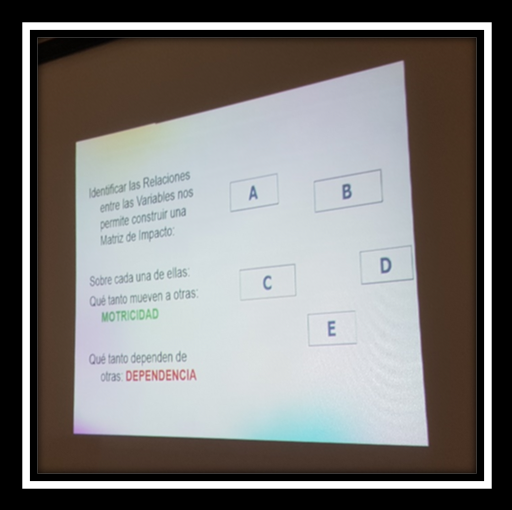 Want to organize lessons or a similar event in your city or country? 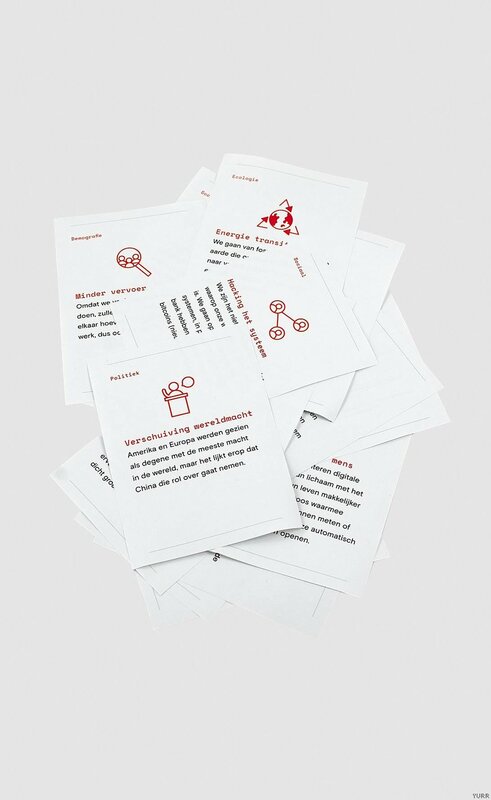 Dutch children share their ideas from an exercise by Teach The Future.